"We don’t want to repeat that," Kobayashi assures. 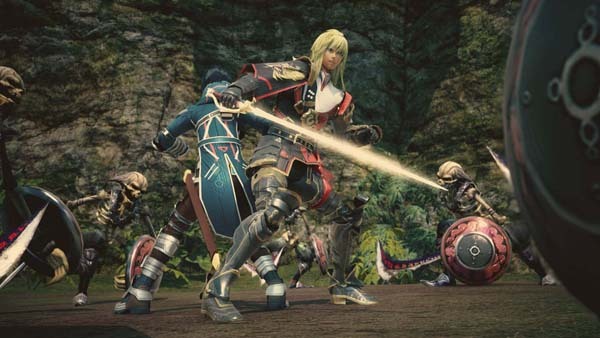 Star Ocean 5: Integrity and Faithlessness won’t be a repeat of Star Ocean 4: The Last Hope, producer Shuichi Kobayashi assured during an E3 interview with GamesBeat. “As you may know, Star Oceans 1, 2, and 3 were a kind of trilogy, if you like,” Kobayashi said.”That was over. When they started making 4, they didn’t continue to take on the same attitude about development. The feel of the game was slightly different, and the way they produced the story was different as well. I was the producer for 4, and looking at it, there was something not really right. Something didn’t really click. I knew some things weren’t in the right places. “When we were making Star Ocean 4, when it comes to the visual aspect, it was part of Square Enix’s business strategy at that time. In those years, the company was really keen to expand their business in the west. There was a general idea that we should make sure our games had global appeal, not just Japanese appeal. That made things very complicated, really. We used outsourcing companies to establish the story, not just tri-Ace. Our mission back then was to expand the universe, rather than sticking to what we’d already created. We derailed a bit from the main plot, which was another issue we had. We learned a lesson from that experience. Earlier in the interview, Kobayashi mentioned how people liked the JRPG aesthetic of Star Ocean 3: Till the End of Time, and how “we don’t want to make it halfway toward a game specifically formulated for Western fans,” which he admits they did “exactly that” for Star Ocean: The Last Hope. On of the new details extracted from Star Ocean: Integrity and Faithlessness‘ E3 trailer were the six-character parties. However, the game will actually have parties of more than six characters, Kobayashi confirmed. “In some parts of the story, sometimes the party members engage in a fight together with some sort of semi-party members who will not completely join the party, but still participate in battles,” Kobayashi said. Kobayashi also confirmed the return of Private Action scenarios, item creation, and so on. He also added that with so many characters in battle, the AI is going to be “very complex.” You’ll even be able to customize the AI to an extent. Star Ocean: Integrtiy and Faithlessness is due out for PlayStation 4 and PlayStation 3 this winter in Japan, for PlayStation 4 early 2016 in North America and Europe.